Guelder-Rose is one of the many names of this shrub filling every garden and balcony with a wonderful flowerage. In fall, it brings fresh color to an increasingly dull environment with its berries. 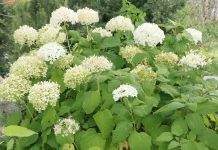 The perennial plant is hardy and will thrive for many years if you create a few conditions for it which are explained in detail in this care instruction for the Viburnum opulus. Only on rare occasions, you will meet such a robust, blossoming shrub like it is the case with this viburnum species “Snowball Tree”. 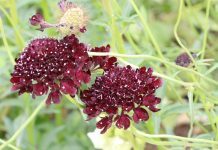 It is suited best for garden friends and plant lovers which only just have discovered their passion or would like plants without having to put in lots of working hours. The winter hard plant will make it easy for you in every situation. 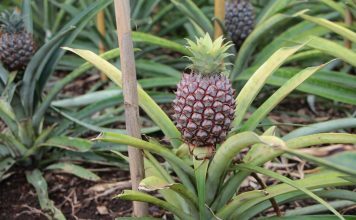 Read in our care instruction what you must keep in mind when planting, caring, multiplying and overwintering. 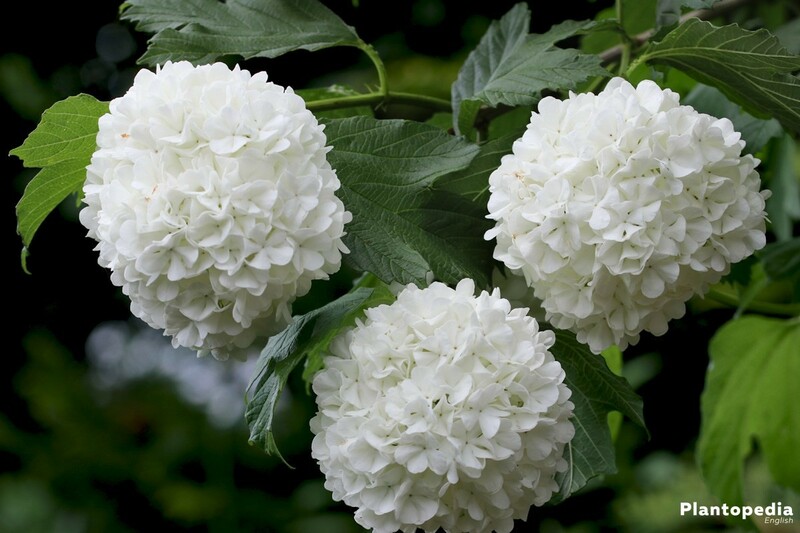 The water elder or snowball tree presents itself as an example of low maintenance and even laymen will be able to cater it its needs. 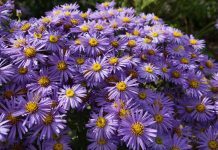 You can find orientation with the following care instructions and you will have years of joy derived from this garden plant. 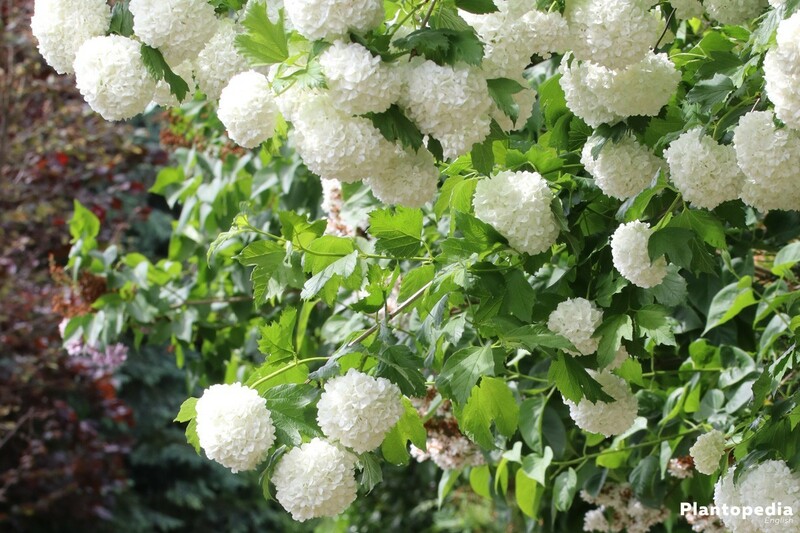 The snowball tree feels most comfortable in a sunny to semi-shaded location. But it does neither do well with direct sun light nor with blazing midday sun. Optimal would be a place where the morning and evening sun will shine on it. It shows to normally be quite robust when it comes to wind. 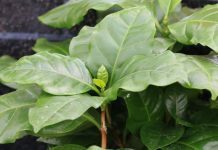 But especially the young plants have issues with cold draft air during the winter months. Therefore, it should be places a little sheltered from the wind. Additionally, choose a place without constant moisture which would for example be the case at shores, ponds or creeks. Also, being located next to plants with a high demand for water is not ideal. It could lead to overmoisturing and the snowball tree might react to it with root decay. For optimal living conditions, the soil conditions are very important. 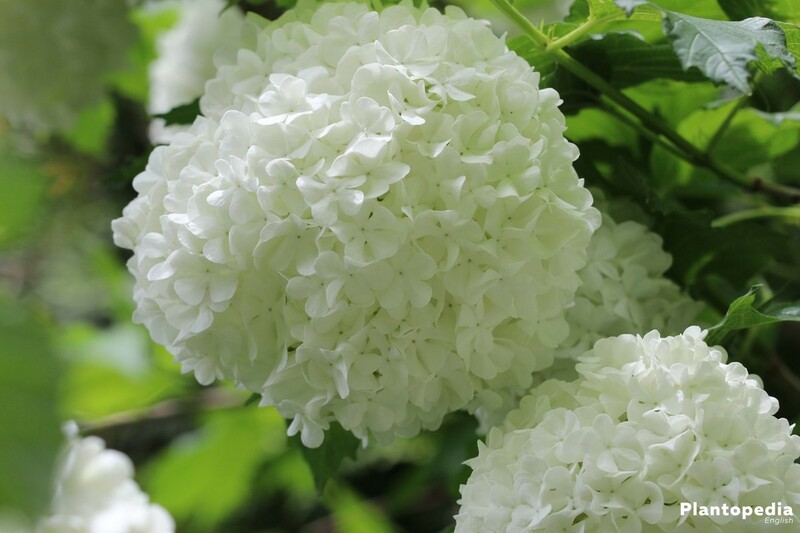 For this reason, the soil needs to fulfill certain prerequisites so that the snowball tree feels comfortable and can thrive well. When you plant a water elder shrub in a tub, you should use a high-quality substrate. Common flower soil clumps a lot, the permeability does not exist anymore and mold can develop on the ground surface. Same applies to turf. When it comes to the substrate, you should make sure that the pH-level is up to a neutral or alkaline value as well has parts of sand and/or clay. Optimal is also a substrate with additional perlite which improves the permeability of the substrate even further. 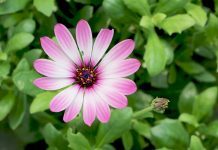 You can also use a high-quality flower soil and enrich it yourself. Mix it with a part each of sand and clay. Instead of perlite you can mix in clay granules. 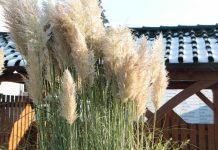 The optimal planting period is in fall and in spring. 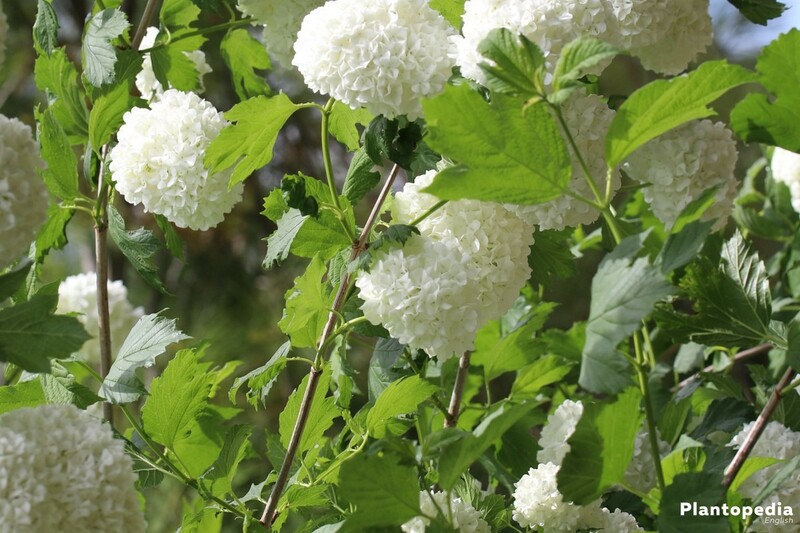 In fall you should early take care of the planting, so that the snowball tree species has enough time to get settled in before the first frost. When you have found the optimal location for your snowball tree, there is nothing holding you back from planting. The Viburnum opulus is mostly prone to a plant lice pest infestation during winter. The same kind enjoys to attack Jasmine and therefore both plants should not be placed in close proximity to each other. When planting in a tub, you should go about it in a similar way as under “Planting in the Flower Patch” described. You should only remember to use a high-quality substrate and especially to not forget a drainage at the tub bottom. 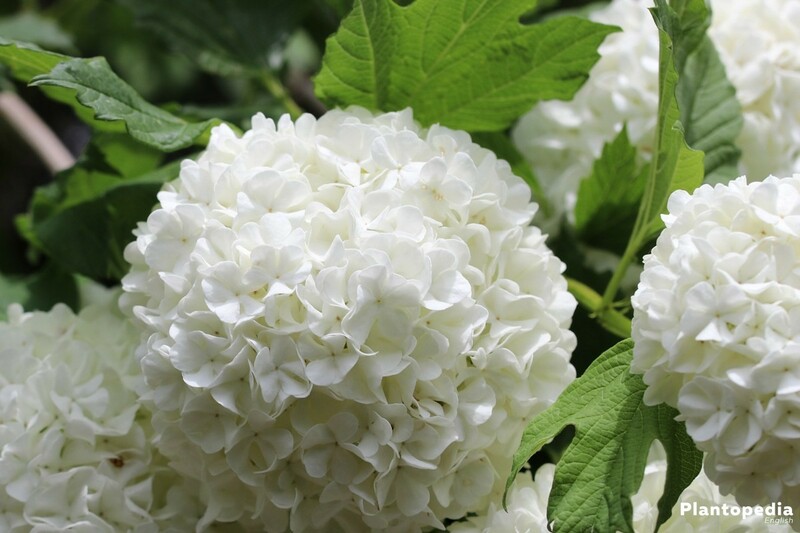 Plant the snowball tree so deep that between soil surface and tub rim are at least two centimeters of space. In this way, you will prevent that a possible sludge formation after watering will overflow. Use a tub size which is at least twice the size of the plant bale. Because the snowball tree can quickly gain circumference and weight, the tub is otherwise prone to fall over at any blast of wind. 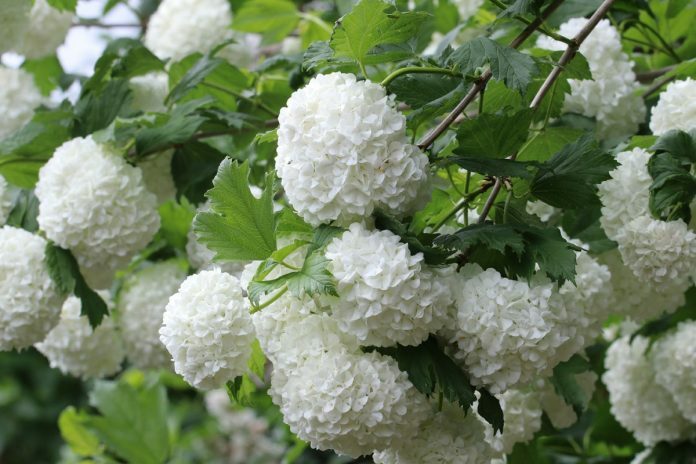 Re-potting of the snowball tree should happen about every three years or at the latest when the tub becomes too small. This is the case when stability cannot be ensured or when the roots are growing through the drainage hole at the bottom or through the ground surface. The watering schedule and the watering amount is decided mainly by the location. Basically, it applies that the sunnier and warmer the location is, the more water is needed by the cramp bark. You should always check the ground and the tub substrate for the current moisture level. For this, press your thumb hard on the soil surface. The ideal time for watering is when the soil surface is slightly dried but still can be pressed in for about two centimeters. Avoid complete dryness of the soil. 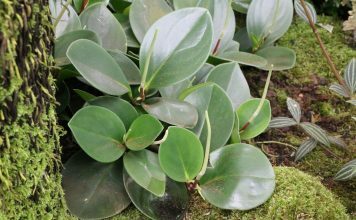 Note that tub plants can dry out quicker due to the little amount of soil and therefore need to be watered more often. 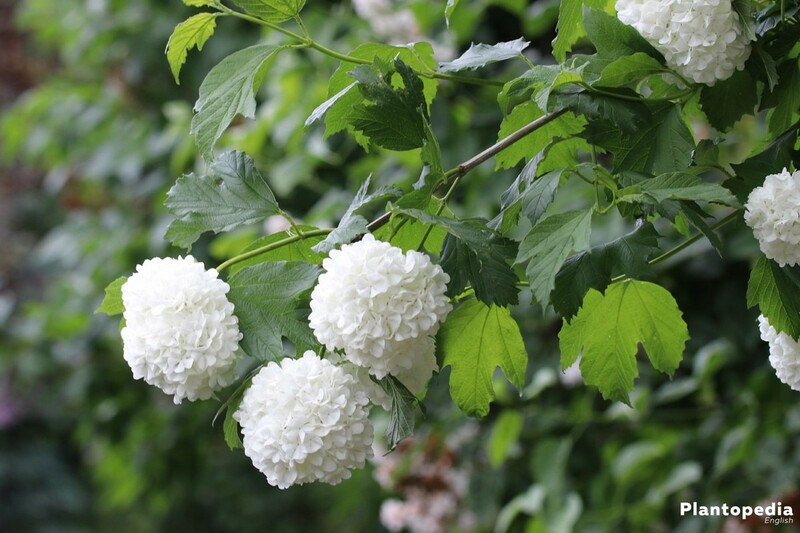 During hot summer days, you can water your snowball tree generously with the water hose if you have inserted a drainage at the bottom so that no water-logging occurs. This way you provide for saving capacity in the ground and you do not have water daily. Guelder-Roses planted in a tub should not be placed on a saucer if you cannot ensure that the excess water can be drained because for example the planting tub is too heavy to lift. 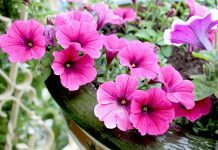 During summer, watering should always happen early in the morning or ideally at night when no sun shines on the shrub. 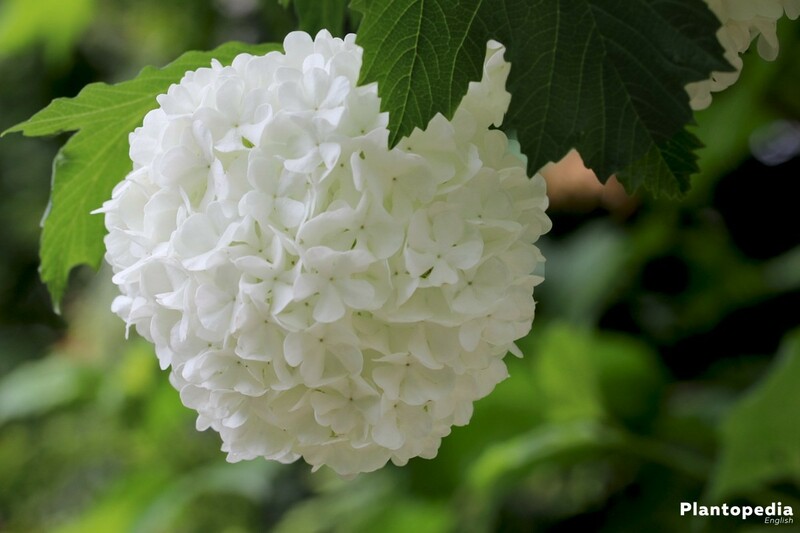 Only when the snowball tree is placed in nutrient-low ground, it is advisable to add an organic complete fertilizer every six to eight weeks. 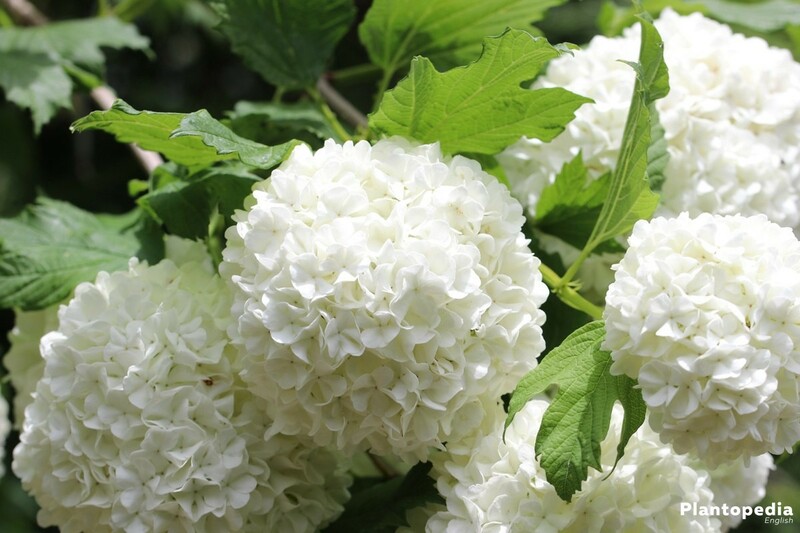 The first administration of fertilizer should happen beginning of May so the Viburnum opulus will receive an optimal treatment for start of the flowering period. If the snowball tree is placed in a rather moist ground, it is advisable to fertilize with compost every few weeks because it will provide a slightly sour ground environment. If you want to optimize the growth of blossoms and flowering durations, add a phosphorous fertilizer every two weeks starting in April. Make sure not to use a fertilizer with nitrogen because it affects blossoming negatively. Freshly planted and re-potted plants will not be fertilizer in the first four to six weeks. 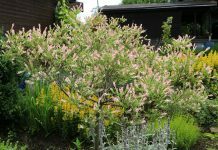 Because the snowball tree only blooms when the shrubs are at least two years old, you should be careful with a radical pruning treatment. This should only be done if the Viburnum falls apart extremely at the sides. 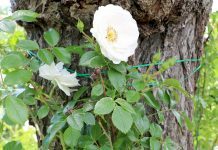 With radical pruning, you can bring the shrub to thick growth again. In this case, blossoming can only be expected after one year without flowerage. 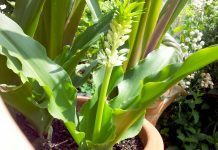 You should restrict it to a thinning after the flowering period. For this, shorten the new shoots as well as old wooden handles about max. one third. 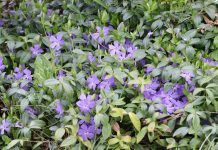 Regardless of radical pruning or thinning, a cut should basically occur in spring until May or in fall between September and October. With cutting during fall, it is advisable to close the wounds at the wooden parts with Sulphur powder or wax. This way, the cut can dry quicker and will not have frostbite damage due to an early frost. The European cranberry bush is hardy and can easily remain outside during the winter months, even during minus temperatures. Only young plants in their first year of life should be protected from frost. Wrap at a protective cover of raffia, brushwood or jute around it. 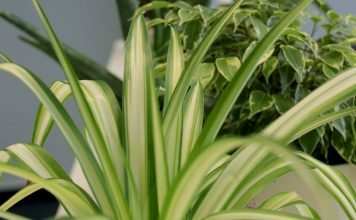 If young plants are supposed to remain in a tub outside during winter, place them on Styrofoam or something similar with isolating characteristics for the ground cold not to reach the roots. To décor your garden, patio or balcony with a beautiful flowerage, it will pay off to multiply the not quite cheap Viburnum opulus yourself. With the correct instructions, even non-garden-professionals will succeed. When the snowball tree sprouts strongly during summer, it is the perfect time for multiplication by cuttings. 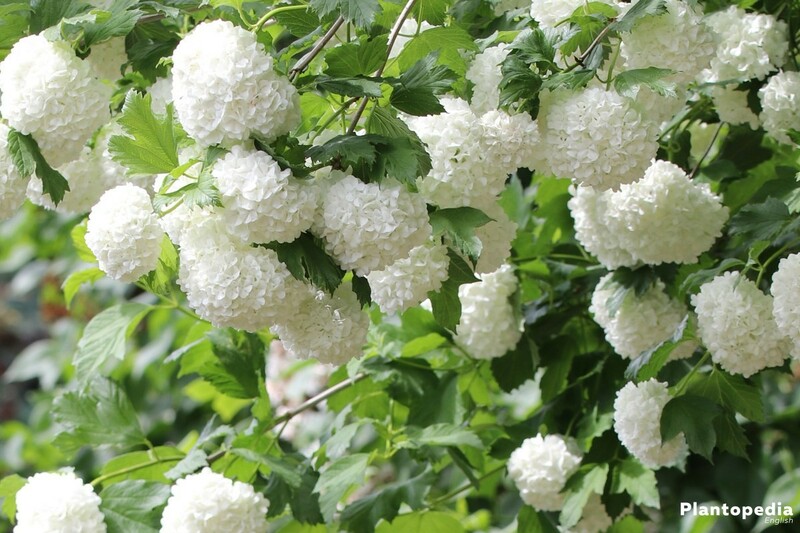 The snowball tree is not relatively prone to diseases. Only too little or too much moisture can lead to the leaves turning brown. In this case, adjust the water amount to the demand as described above in the section “Watering”. Of discoloration or crippling of the leaves shows and the blossoms do not mature, the snowball tree most likely has plant lice. A quick relief is a traditional home-remedy that consists of high-concentrated soap solution and a few drops of spirit. Hose off the plant well with the garden hose. 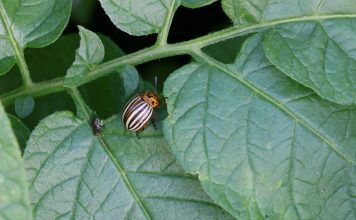 This way, you will already get rid of most of the plant lice. Afterwards, spray the shrub equally with the soap solution. Now, even the last plant lice will disappear and you will for now not have to fear another infestation. 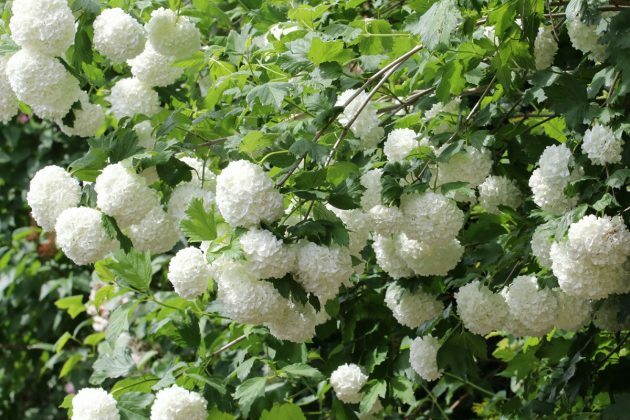 There are about up to 200 species including sub-species of the snowball tree, of which it is the most common and known. Very popular as well is the “roseum”. Its leaves color wine-red to dark-red during fall. 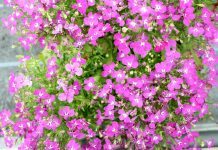 The up to eight centimeter big flowers especially stand out from May to June. It is ideal as a bird protecting hedge because it does not grow fruit during fall which might attract birds. The Viburnum lantana is a summer-green shrub with umbrella-shaped flowers. From August, the blossoms will be exchanged for berries. 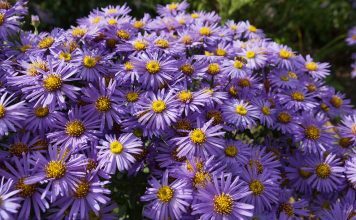 It is one of the lowest maintenance species and perfect for garden beginners.